I was at a creative writing reading the other night at a professor of mine’s house. My friend and I are undergraduate creative writing majors and imagine the stiffness of our walks as we entered our professor’s homes and found a living room full of adults drinking beers from the bottle, cups of whisky in their hands perhaps and all of them clearly over 21. My friend and I are clearly the youngest of the bunch. We engage in small talk with a hipster looking man in his early thirties, as a pixie of a woman goes off to get us cups of water with a wedge of lime. The man we speak of is a professor as well, in the middle of his PhD program in creative writing. We talk about where we’re all from, what my friend and I are majoring in and what we want to do with our degrees. We wind up talking about comic books and I know my knowledge is immediately dwarfed by this man. He’s been reading since the ’80s. He names off writers and artists off the top of his head, pulling them out of his sleeves like a magic trick. A few other men join the conversation and under the eyes of these older men with their drinks in hand and their careers in my chosen field I feel smaller and younger than ever before. I am a big proponent that not only can no one make you feel inferior without your consent, but that no one can make you feel anything without your consent. I was letting these men somehow bully me into silence without them even having to say one off-hand comment. I just knew my opinion was valued less. And yes, I know I can’t support this. I know I can’t, and won’t, blame this on the men in that room. It’s me and my gender socialization that tells me I need to put on a front to be “cool” and “confident” and above all not a feminist. So, when the conversation breaks off and the men are clearly talking amongst themselves I sip my lime-water and refuse to sit down though the men in the conversation are all seated and have been for a few minutes. I listen. The men talk about the Juicy Brand of pants where the backside reads “JUICY.” The man who knows about comic books says he sees a woman wearing that and he automatically has no respect for her. This is a man in higher education! This is a man who is dealing with women of all types and styles of dress every single day and he can sit there on the couch, drink his beer and generalize about his respect for “those women.” He knows his opinion will be safe. I feel the words biting at my tongue. Oh, I want to tell this man that he doesn’t know anything about a woman by her style of dress and that I find that comment offensive and derogatory. I take a long sip of my water to keep myself silent. My only victory is that I don’t laugh or smile at his comment like the other men. I look at my friend who shrugs slightly and I don’t know what the means. The reading hasn’t started yet and already I feel exhausted by the pressure to be “cool” and not a feminist. The entire evening I felt like I was putting on a production. I had to at once appear a calm, collected adult (even as I told the man asking for donations for beer that I wasn’t old enough to drink). an up-and-coming young writer who wanted to get noticed, and someone who knew how to nod approvingly at whatever anyone else in the room said even if I disagreed. There was an unspoken rule not to rock the boat. I couldn’t be a feminist. I couldn’t voice any disagreements. Everyone around me had to right and knowledgeable about what they said to keep up the illusion surrounding the event of a young up-and-coming writers’ club. They were all in MFA’s or PhD programs. They were all in my field of study as writers themselves. I couldn’t rock the boat and challenge them, even on trivial matters. No, I had to nod my head and mutter my agreement to keep up my end of the small-talk. When I did speak I asked various men I met (there were very few women at the event) about their professions. Their degrees. Their lives. I kept the focus off myself like a good-little girl. Is this what adult life is like? Putting on a facade and smiling and nodding when your head is bursting with responses? I feel so confident in my feminism and then I step into the real world outside my college campus. The hardest thing about being a feminist is learning to speak up. 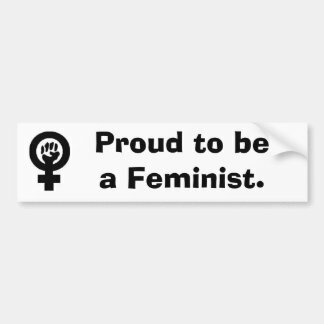 As an adult, what I need the most in my life isn’t a fancy degree or published books to my name, but the strongest voice I can muster telling whoever I meet that I am a feminist. I am a woman who is unashamed of being a woman. And I don’t care who I am forced to have small-chat with, because retreating into silence is the worst harm I think I’ve ever caused my body.